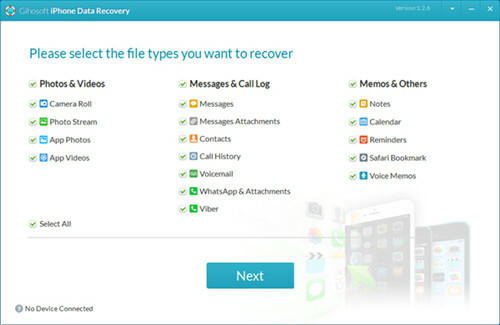 The increasing use of mobile devices including laptop, tablets and mobile phones has made necessary to know about recovery software options to recover the data files which has been deleted due to any reason, accidental or intentional. The users of iPhone can store lots of personal data including important voice memos, monthly calendar, personal contact numbers, food dairy, grocery list, photos and workout log etc. One can lose some or entire data by dropping the phone on hard surface or in the water or if it is broken due to any reason. In this situation, instead of panicking you can search for some iPhone voice memo recovery software that can help in recovering your lost or deleted voice memos and other iPhone data. Some of the most popular recovery software options are briefly discussed here under for your consideration. Joyoshare iPhone Data Recovery (or for Mac) is an efficient and professional data recovery tool can help in recovering various types of data lost or deleted from various Apple devices regardless of the reason of losing them. It is compatible to old models of iPhone, iPod touch and iPad along with other iOS devices including iOS 8, iPhone 6 and 6 Plus, Win8 and iTunes 11 etc. This iPhone voice memo recovery software can recover up to 20+ types of lost data including voice memos of course, as well as SMS, contacts, pictures, videos, messages of apps, calendar, bookmarks of Safari and so on. It can quickly and easily recover your lost data with 3 recovery methods including directly using the iOS devices, through iCloud backup or through iTunes backup. This iPhone data recovery software is specially designed for the regular users of iPhone. While using the iPhone you can delete some data by mistake. In this situation Aiseesoft FoneLab can help in recovering data on various devices like iPad, iPhone, iPod touch and iPad mini etc. It can recover data lost by older versions of these devices more effectively than the latest versions of these devices. It can repair nine types of text content including call history, messages, and calendar etc. of old devices. It can also help in restoring media content of 10 types including voice memos, voicemail, photo library, attachments with messages etc. EaseUs MobiSaver can be used in two methods to recover the data you have lost. Commonly it has to be connected to the device through USB to scan the device to find the recoverable data from its hard drive. 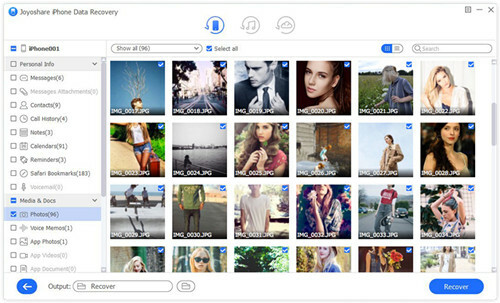 However it can also be used to recover backup files from the iTunes or iCloud. This software can access the files even if the iTunes files are encrypted as it can use its decipher feature for this purpose. But you must have the ID passcode of your Apple device for using this software for recovering data from encrypted iTunes files. This software offers a free version, which means that users can use this free iPhone voice memo recovery software to recover lost voice memos or other data without a charge. But its free version has limited features unless you upgrade to the premium version. You can lose your iPhone data due to various reasons including failed upgrading, restoration of factory settings, your own mistake and due to attack of virus etc. This iPhone voice memo recovery software can help in recovering 16 types of data without using any backup file. The backup files embedded in the iTunes program of your computer can help in recovering voice memos, text messages, iPhone photos, tango messages, WhatsApp messages, notes, contacts, browser history and Safari bookmarks, if the device is synced with your PC. You can also store these files on your PC for further use. You can easily lose the information of your iPhone, regardless of its importance for you. This is another iPhone voice memo recovery free software that can help you in recovering your lost data eve if you have forgotten the location of its backup. 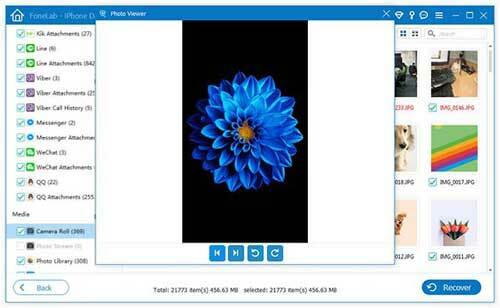 You will have to install this software on your PC to use it to recover lost data of your iPhone. It offers three options to recover iOS data to choose as per your requirement. To start scanning directly to recover lost data like voice memos you will have to connect your device to the PC through USB. 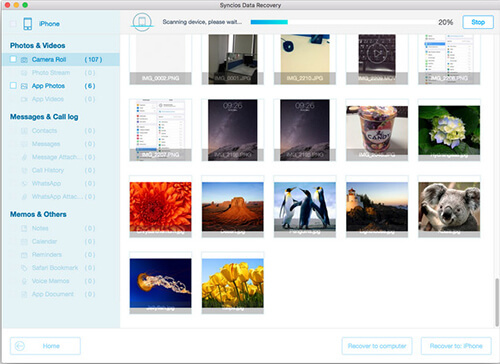 This software will find backup files from synced iCloud or iTunes account if it fails to scan your device. 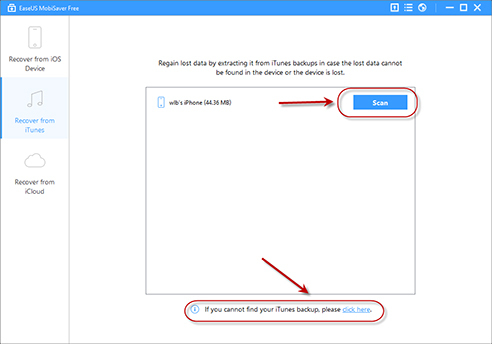 However, you must have backup files on your iCloud or iTunes account to make recovery of lost data easier through this method. This iPhone voice memo recovery software can be used for recovering routine data backups along with recovering the lost data of iPhone. 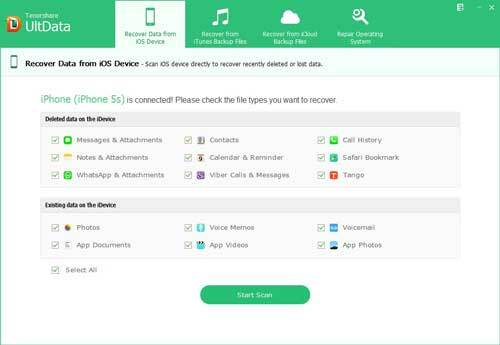 You can recover voice memos and other lost data from your iPhone by launching this software on it through your PC or Mac. After installing it, you can choose the files you want to recover, say voice memos, bookmarks, photos, contacts, notes and apps etc. In case of failure of your device you can recover you lost data if you store your backup files on this software. However you can also use iTunes files on your Apple device to recover lost files just by selecting the iTunes tab. Thus, here are six efficient iPhone voice memo recovery we collected, of course there are many others available in the current market, but these are the best ones. By using any of the iPhone voice memo recovery software options discussed in this write-up, especially Joyoshare iPhone Data Recovery, you can easily recover the voice memos and other data you have lost from your iPhone either accidentally or intentionally.